The Managing Directors of Gillett Environmental feel strongly about protecting their staff and the fellow public. We are confident that these high tech devices will be guaranteed to save someones life in the coming years. 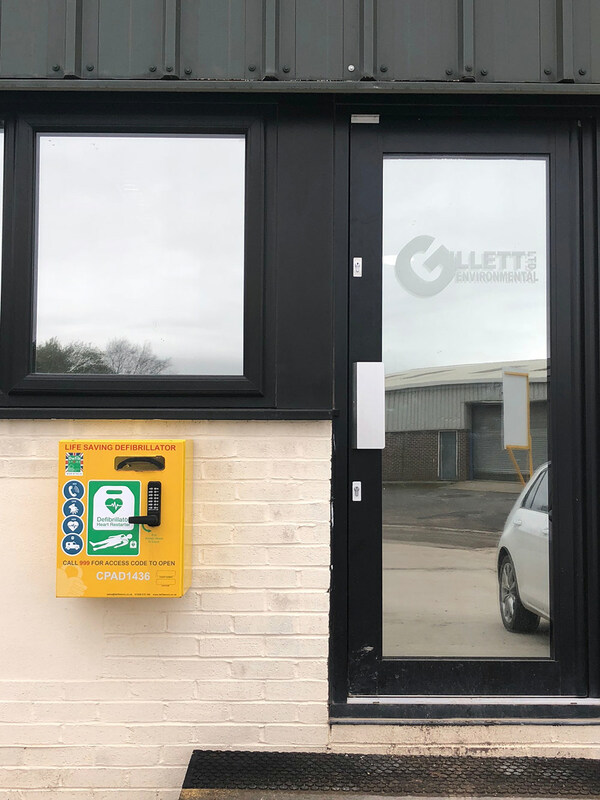 The devices are self explanatory and require NO training – You simply call 999, explain your location and the operator will give you the code to open the secure cabinet that houses the device. 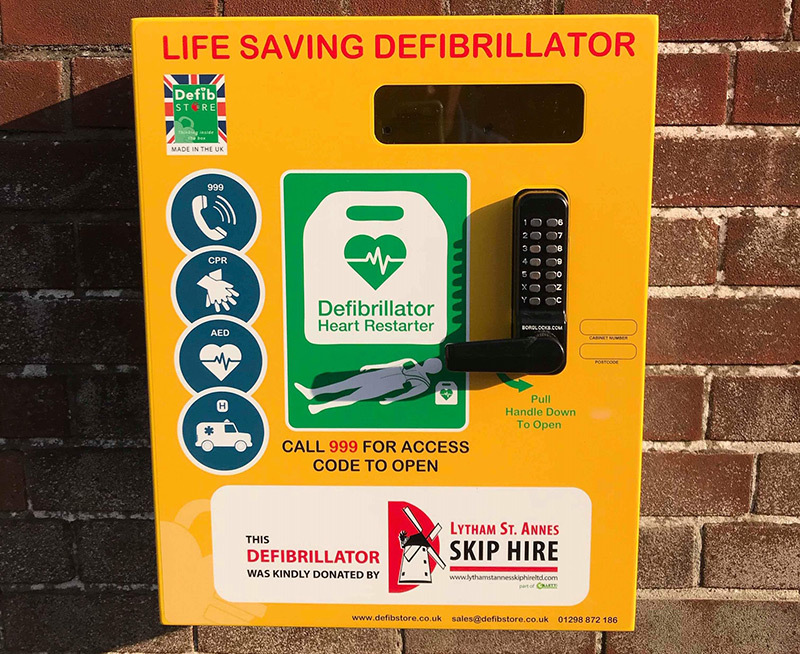 Once you open the lid on the defibrillator, the device talks you through each step on how to use it. Simple! 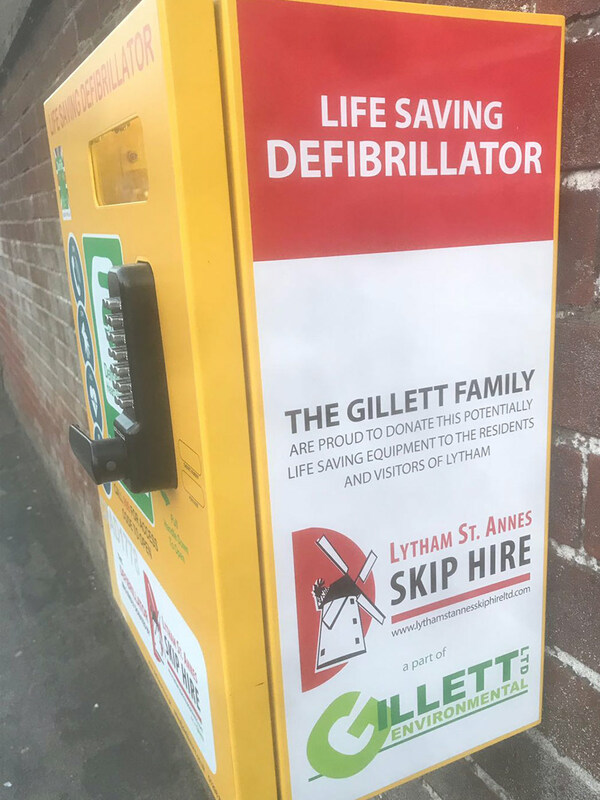 We recently sent out a national campaign in The Skip Magazine to help raise awareness of the huge importance of these devices – You can see this article by clicking the link below.